Older Single Mum: More Gingerbread Please. The famous charity Gingerbread is currently featuring me as one of their UK's favourite Single Parent Bloggers. Yay! *thrilled face* They've recently been revamping the Community section of their site and have a new Single Parent Bloggers page. Having been founded nearly a hundred years ago, when the Bastardy Acts were in place and illegitimacy was terribly discriminated against, they continue to be a force for good, campaigning and supporting and being a wonderful resource. I thought it would be interesting to hear more about them, so asked if I could return the compliment and feature them too! Single parents, be part of it! Being a single parent means you’re probably an expert at doing it yourself – getting on, dealing with it and working it out. But can all do with a bit of support from time to time. Gingerbread is the national charity for single parent families. We provide expert advice, practical support and campaign for single parents. At the heart of what we do are our members, over 40,000 single parents from all walks of life who joined to be part of an organisation that speaks out for you and helps make your voices heard. Here are just a few of the reasons why single parents join Gingerbread. Ever wondered how you’ll fill the evening ahead after the kids have gone to bed? 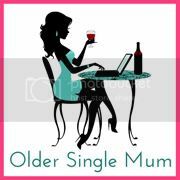 Or wanted to know how another single parent would tackle a particular issue you’re facing? Maybe you just want to rant about the way single parents are portrayed in the media with someone else who gets it. Whatever your concern, it’s good to know that there are many thousands of single parents out there raising children on their own who you can turn to. Gingerbread’s supportive and welcoming online forums help single parents link up with each other, chat and share experiences. The forums are a great place to let off some steam and spend some time chatting to other parents in the same boat as you – without ever having to leave your sofa! Gingerbread groups have been going since the 1970s. They’re run by single parents, for single parents and are a great way to find local support and create a new social life for you and your children. Gingerbread groups are for all single parent families, whether you’re a mum, dad, carer or even a grandparent bringing up children on your own, and kids are always welcome! 65 per cent of Gingerbread’s current members told us they joined Gingerbread because they wanted to be part of an organisation that stands up for single parent families. By becoming a member of Gingerbread you can help shape our work, drive forward our campaigns and help us challenge stigma by showing the true picture of single parent life in the UK. Bringing up children on your own can be an incredibly rewarding experience, but there can be times when it’s difficult, daunting and, let’s face it, downright lonely. But when you join Gingerbread, it means there’s always someone on your side. To be part of Gingerbread, just head over to our website and sign up for free. What a great and vital charity. 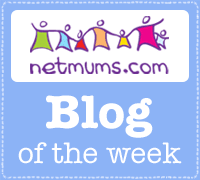 And fab that they are featuring you as one of their favourite single parent bloggers. X.
Bastardy Acts? Good grief - I had no idea! It sounds as though they do great work. That's an excellent idea!! It's so hard for any parent to actually have any kind of social life of just some proper conversation but must be even harder when it's a single parent.